From the Clifton car park turn left and follow Chine Avenue to Shanklin Old Village, walk through the Old Village up Church Road to St. Blasius Church At the back of the church yard, go over the stile and through to the first uphill field, which will lead you over another stile, another field, another stile and onto an uphill path with uneven steps. Carry on up the sometimes windy path to one more gate and stile, with a steep drop to your right hidden by bushes and trees, turn left carrying on uphill along the edge of a field over the stile, and follow the trodden path up the downs to the top. Here you will find a concrete tumuli, which makes a good view point and at 235 ft above sea level it?s (almost) the highest elevation on the Island. From here you going to head south walking along the top of the downs. You can walk either side of the wide hedge at the top of this field (there?s a stile near by the tumulus, over the hedge you can see views in a westerly direction). If you climbed over this stile then turn left. Carry on to the end of the field, through the gate, through the opposite gate. You are now on Luccombe Down and you can either follow the wider path straight ahead of you, or bare left and follow the narrower paths across the downs, with views down the steep hill to Luccombe. Either way your next landmark is the Luccombe Down carpark (grid ref: SZ573787) which is close by to the tall wire fence which encloses the Ventnor Radar Station. Head below the car park towards the fence and through the kissing gate. Turn right through the gate so you have the fence on your right and the sea to your left carry on along this narrow path, keep an eye out for goats, though they are no trouble, carry on all the way to the end and through the gate. You are on St Boniface Downs with a view down to Ventnor. There is a bench just along and down from here which makes a nice view point. A very simple walk with two choices, you can either stick to the beach and esplanade which provides a completely flat route until you get to Culver, or take the cliff top path which does have a few small hills . 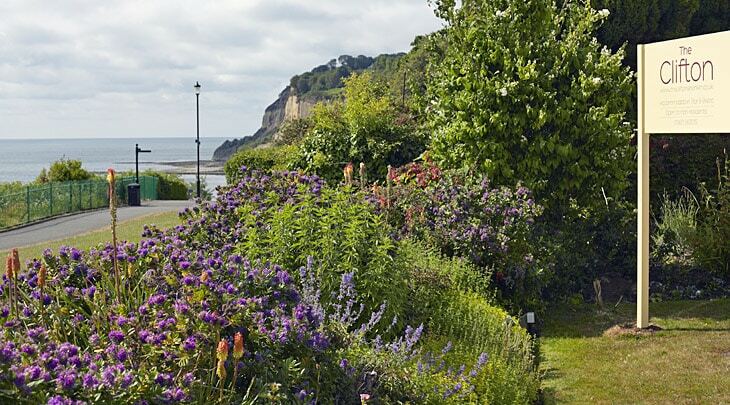 For the beach and esplanade route, walk through the Clifton?s stunning garden out onto the cliff path and turn right, this will lead you down to the esplanade. For the Cliff top route just turn left out of the garden onto the cliff path. 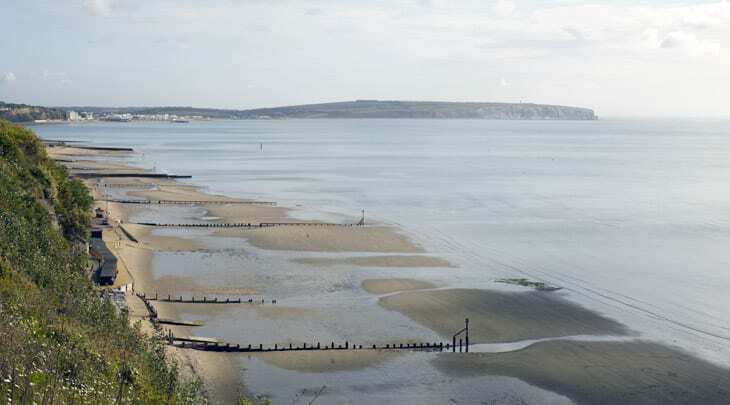 Stick to whichever path you have chosen and they will take you through Shanklin, Lake and Sandown all the way to Yaverland where you can begin the climb up Culver down to the amazing view point & Yarbrough monument. From the Clifton car park turn right and walk to Clarendon Road, Turn left onto Clarendon Rd and continue to Falcon Cross road then turn right onto Languard Road. Just along the road before the Lidl store is a turning marking the start of the route. The Walk starts at Shanklin Train Station and goes though some lovely countryside & woods with plenty of chances to see one of the Islands most elusive residents the Red Squirrel. Coming out of the station turn right and go down the steps to the road, go right to the bend and cross to the public bridalway SS18. In Lower Hyde Leisure Park bear right and right again through the gate, where the track crosses a lane turn left and keep on the track until you reach Ninham Farm where you go down right to walk between the ponds, cross the stream and turn right on to Scotchells Bridge. Follow Luccombe Road and keep right at the road fork to enter a woodland path. The woodland path opens out into a small hamlet. Follow the path through the village and back into the woodland. This woodland path joins the drive way to a house. Just before reaching the house we join a new path up on our right which takes us to a small car park. Walk through the car park and into the woods to a small tea shop. It is a wonderful place to stop and enjoy the view and some refreshments. From the tea shop walk down the grassed area directly in front to join a small path leading to the Devil's Chimney. The Devil's Chimney is a crack in the rock with stairs taking you down into a wooded area. This beautiful feature is wonderful and extraordinary but is not well known on the Island. The path continues down to the coast and follows the cliff top to Bonchurch. On the edge of Bonchurch follow the signs down to the beach at Bonchurch. From Bonchurch there is a smooth, flat and wide coastal path. Follow the path with the sea on your left till you reach the beach at Ventnor. Ventnor has a large beach of sand and shingle which is backed by shops and restaurants. There are some lovely places to eat and drink with views of the sea. Buses run back to Shanklin from Ventnor.